I’m sitting at our dining room table taking everything in: the colorful Portuguese plates hanging on our dining room wall; our porch soaked in rain; the school bell ringing two blocks away; the sound of our son playing with his toys in his room; the basket of school books, airplane snacks, and important documents waiting to go in a suitcase. Then, I stare at the picture on my computer screen. It’s of our church people, and tears come to my eyes. In two weeks, we will begin our 6-month furlough, and we will be an ocean apart from all these things and people. These people are where the past 8 years of our lives have gone, and, honestly, it’s hard to leave. At the same time, if I’m honest, some of the tears in my eyes are from exhaustion. 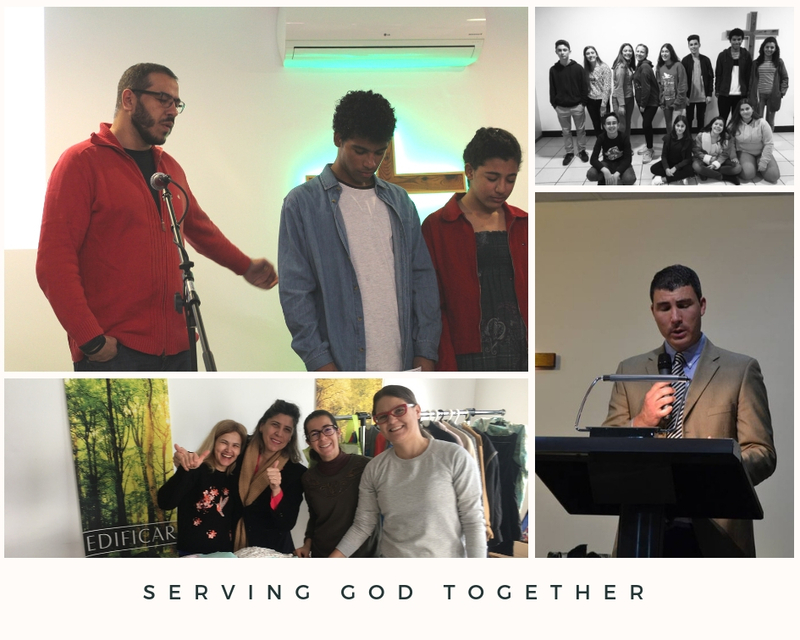 We have been “on call” to witness to, pray with, encourage, confront, comfort, celebrate with, teach, and work alongside the sheep God has entrusted to us here in Portugal. We love them, we worry about them, we pray for them, and we rejoice over them. We know they are God’s sheep. He is their Good Shepherd. We ask you to pray with us that God will continue to protect, grow, and use each of them for His glory. We also pray the next 6 months will let us rest, refill, and come back recharged for our next term. Practically speaking, we are working furiously to pack our house for the people who will live in it while we are gone, to cover all of our responsibilities here, and to prepare for our time in the States. While it is never easy to leave the work or our home for such a long time, we are eager to see family and friends and to return to our supporting churches. You have prayed, given, and encouraged us so faithfully over the years. 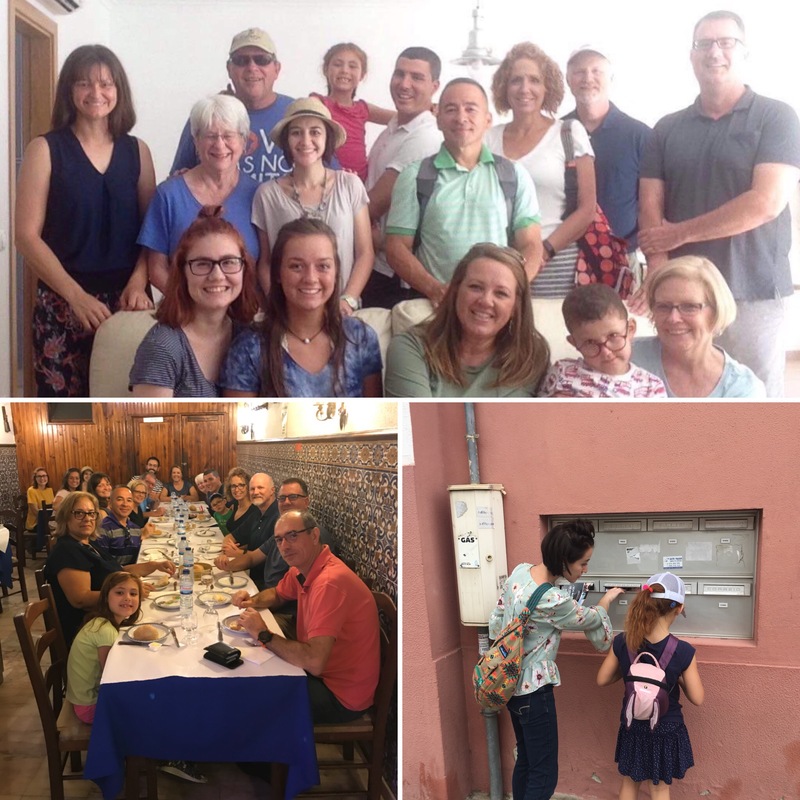 Now, we will get to see many of you again and share stories of God’s grace and mighty work here in Portugal. Since we need to get back to packing, we will get right down to business. 1. We praise God for providing people to cover the church. Rather than calling in different pastors to preach each week of our absence, we were thrilled to see God provide a pastor and his family who can stay the entire 6 months. Please pray for Pastor Eder to have wisdom for the preaching as well as weekly care for the church. 2. 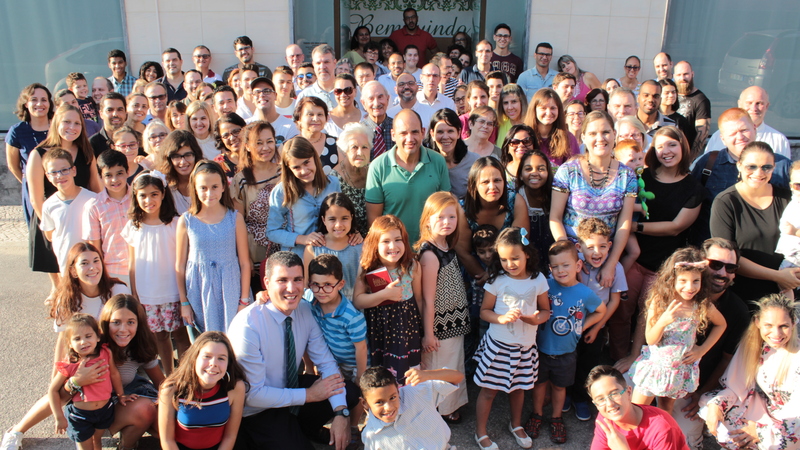 Speaking of church, our town is growing, and so is our church, mostly from newly-arrived families from Brazil. 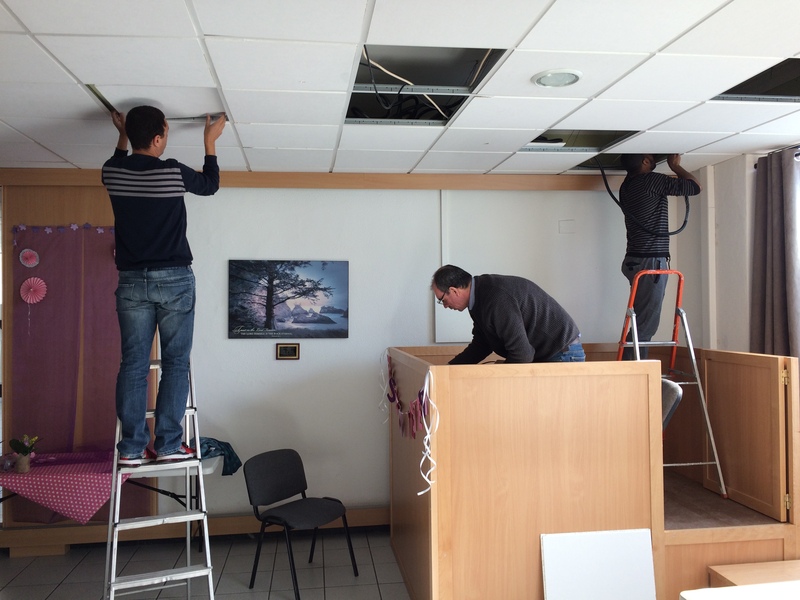 With the influx of more help, the church has been able to create more departments, such as the Events Committee and the Building and Grounds Committee. As each person takes ownership and responsibility for a part of the church, the church becomes a little more “weaned off” of us and a little more ready for national leadership someday. 3. This past month, between the two locations, we had 12 deaf attend church services. That is a good number for our group. In our absence, Amanda, our coworker, will open her home to a Bible study for her deaf friends who want to learn more. God has also provided a deaf pastor from America to lead the Sunday services and various activities for a few months. 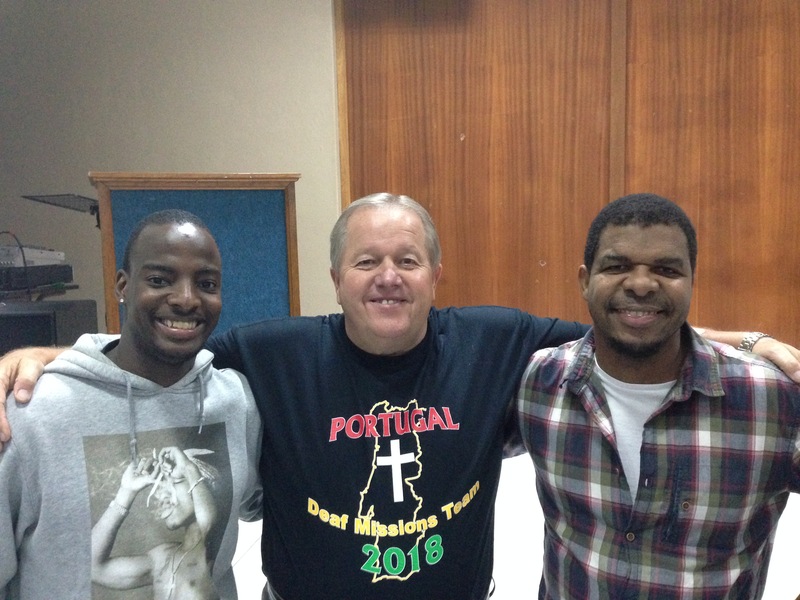 Please pray that Pastor John will quickly pick up Portuguese Sign Language and that God will use him to reach and care for the deaf of Portugal. This time of year is full of “Top Ten” and “Best of…” lists. So in that spirit, here are the “Eight Best Moments” since our last update. 1. Last month, we baptized six people. All told, we added 21 new members to the church this past year. The church is maturing and taking important steps. Pray for wisdom to know how to continue moving forward. 2. Also last month, we had our first church service led by the youth. It was exciting to see their eagerness to serve, sing, read Scripture, and share their testimonies. Pray for the youth in our church. While we see many encouraging signs of spiritual life, we also see their fragility and how strong the world’s influence is in their lives. 3. The women’s Bible study that Sarah is leading is greatly strengthening and encouraging all who participate. Many of the women are hurting and facing personal challenges, yet it is heartening to see them praying with each other and challenging each other to grow in obedience to God’s Word. 4. 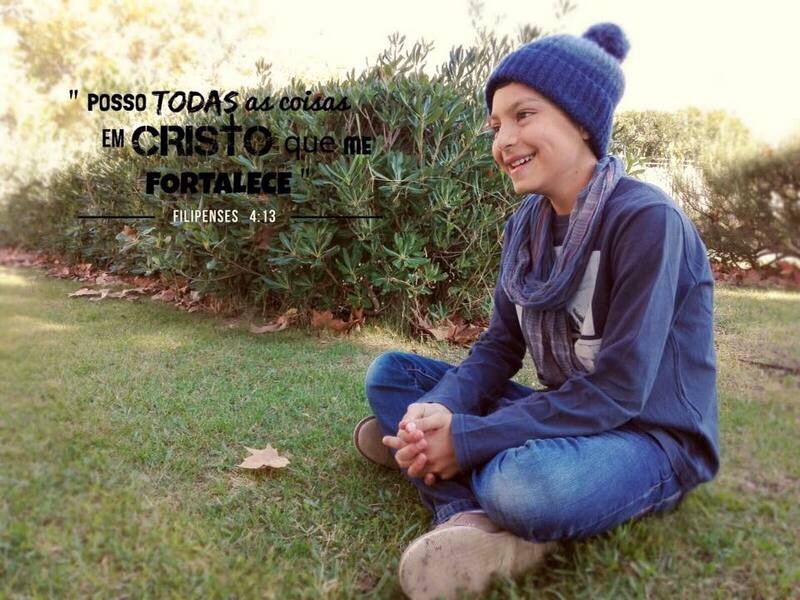 Remember Luis, the 12 year old boy in our church, who passed in away in September? Since then, his older step brother, younger brother, aunt, and cousin have all believed on Jesus to be their Savior. How good God is to use such sorrow to bring forth glory and spiritual life. 5. Yesterday, we had our deaf Christmas service and party. Despite the fact that we were a small group, God was glorified, and Jesus’ name was praised in Portuguese Sign Language. 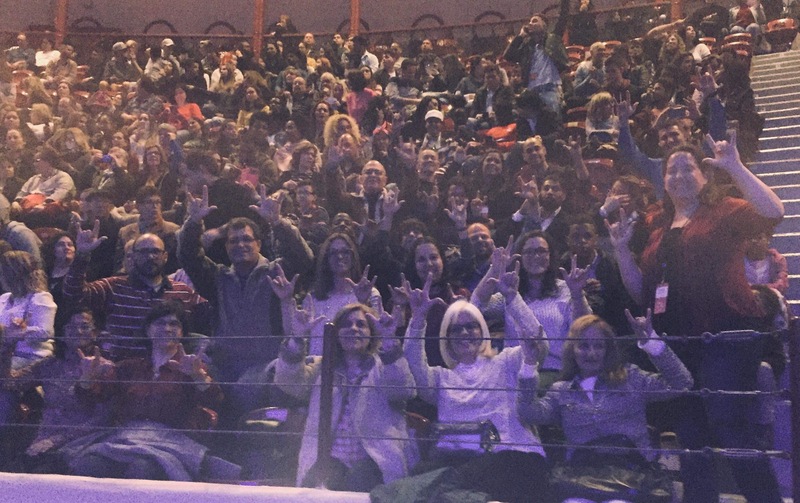 In our work with the deaf, this year had highs and lows. The mission team from Harvest Baptist Church of the Deaf was certainly one of the high points. They encouraged us and were very effective making new contacts and evangelizing. Also, throughout the year, we saw a good number of deaf make professions of faith. The low points are that we have had fewer deaf come to our church services, and some of those who have made professions of faith have shown very little desire to grow. Good things happened this year, but pray fervently for a greater spiritual awakening among the deaf. Pray also that God would show us how to best use our time and resources in ministering to the deaf. Every week, there are far more needs and opportunities than we are capable of addressing. 6. In our last letter, we asked you to pray for Sarah’s wrist to heal from a surgery she had in August. Praise God that after many weeks of therapy, she has regained most of the movement in her wrist. Sign language (and most of life in general) is much easier when your wrist works well. Thank you for praying! 7. 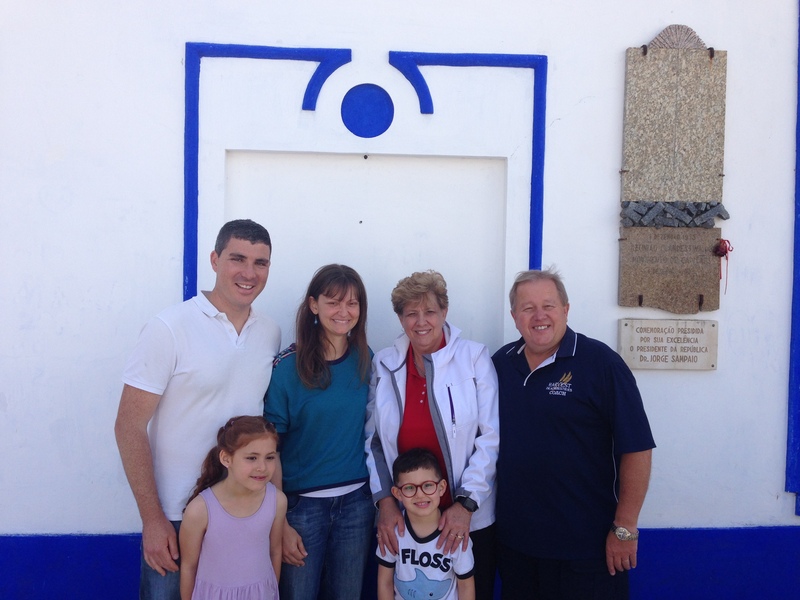 The Wears family, our missionary friends and colleagues, finished deputation and arrived in Portugal. Praise God for more missionaries serving the Lord here! 8. Once again, we are at the end of a year and God has met every one of our needs and has blessed us with such tremendous ministry partners. 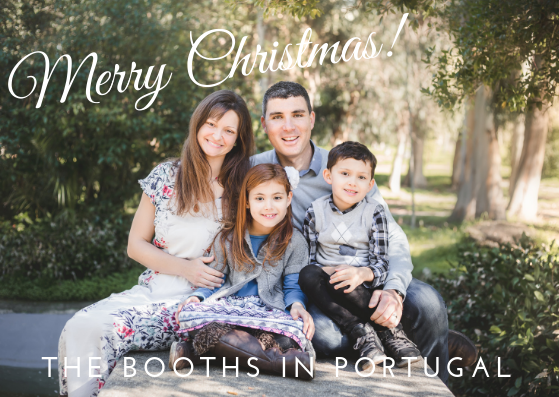 We thank God for you, and we are greatly humbled and overjoyed at getting to serve King Jesus another year here in Portugal. That leads us to this important news: We are returning to America for furlough for six months in 2019, from March until September. It will be exciting to see many of you again, and if you would like us to come and share an update at your church, please contact us right away! May God bless, strengthen, guard, and prosper you in the year to come! This Christmas season, may all praise be to Christ! Whether you’ve experienced 90º temperatures or snow the past two weeks, we hope you’re having a good Fall. Here in Portugal, we’ve had the 90ºversion, but there is a cold nip in the air this morning, and cooler temperatures are on their way. Fall activities are back in full swing. I am once again teaching a seminary class. My students are a sharp group this semester, and it is a privilege to help prepare them for ministry. God has sent many women to our church, and they are hungry to learn more about the Bible and to be mentored. Sarah is leading a Bible study with them based on Titus 2. So far, the women have been doing their homework and sharing how they have been convicted and encouraged. Sarah is also doing physical therapy 5 days a week to regain mobility in her wrist after her surgery. The doctors expect it to take 6 months or more, but, one millimeter of movement at a time, she is getting there. 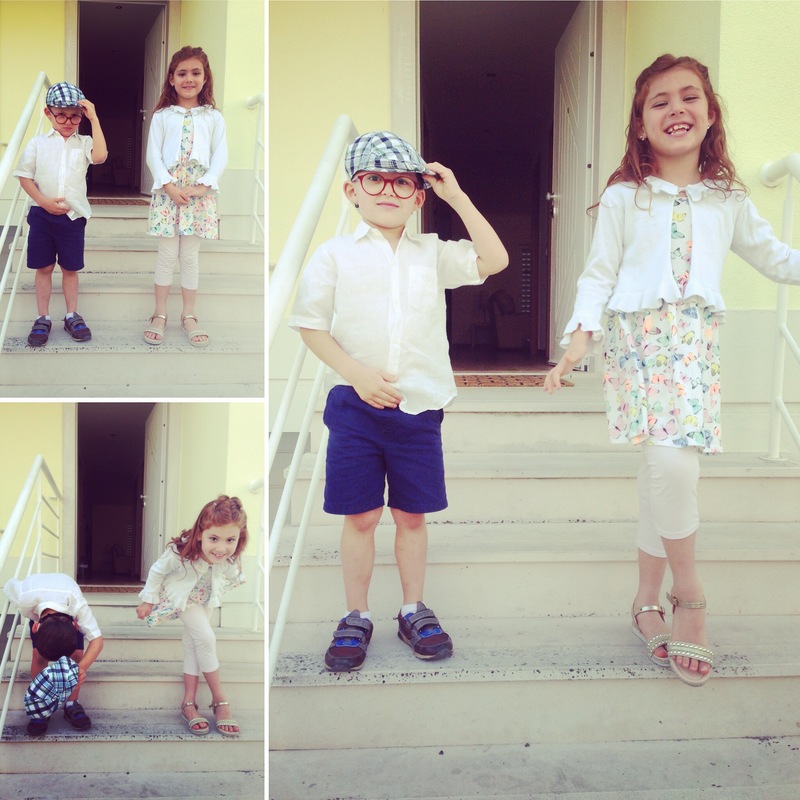 Our kids are attending Portuguese schools for 2ndgrade and kindergarten, (and we’re supplementing with English at home). 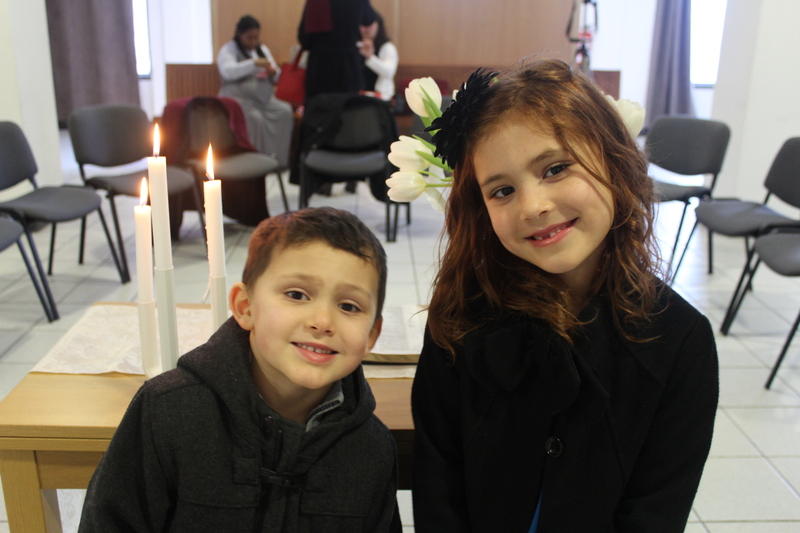 Even at their young ages, Laura and Samuel tell their classmates and teachers about God when the chance arises. When I picked Samuel up from school last week, his teacher told about Samuel’s response to a kid who was pestering him on the playground: “He said at your church you teach to treat others the way you want to be treated.” We’re grateful for the children God has given us, and we pray God will use them for God’s glory as they let their little lights shine. God has certainly used a young person in our church this past year. We told you about Luis, the 12-year-old boy who died of cancer last month. His faith, his funeral, and his family have all been examples of God’s sustaining grace in the worst of times. In August, his aunt came from overseas to spend a few months helping the family. She was with them through the end of Luis’ life, and she is still here for a few more weeks. She has had a front-row seat to the difference God has made in Luis’ family. Yesterday, she asked to talk with Luis’ mom and with us, because she was “ready to willingly accept Jesus with all of her heart”. We praise God for using Luis to help reach his aunt for Christ, and we pray for her as she plans to grow in a Bible-preaching church in her home country. In September, we had our church anniversary which is always an important occasion. It was a sweet time of fellowship as several other churches also came to celebrate with us. We looked back with gratefulness for the good things God has done, and we looked forward with hope. It also reminded us how quickly the years we have been in Portugal are going by. Eight years ago, we arrived here. Five years ago, we began having church services. Two years ago, we formally organized as a church. Thank God with us for the good things he has done, and pray for us that we will be faithful to the Lord. Thank you for sticking with us and keeping up with us! This summer has been a whirlwind! When we left off 8 weeks ago, we’d just had a fantastic deaf mission team and a good week of teen Bible camp. July brought us another mission team. This church from Tennessee sent the first team we ever hosted back in 2012, and this year was their fifth year coming. 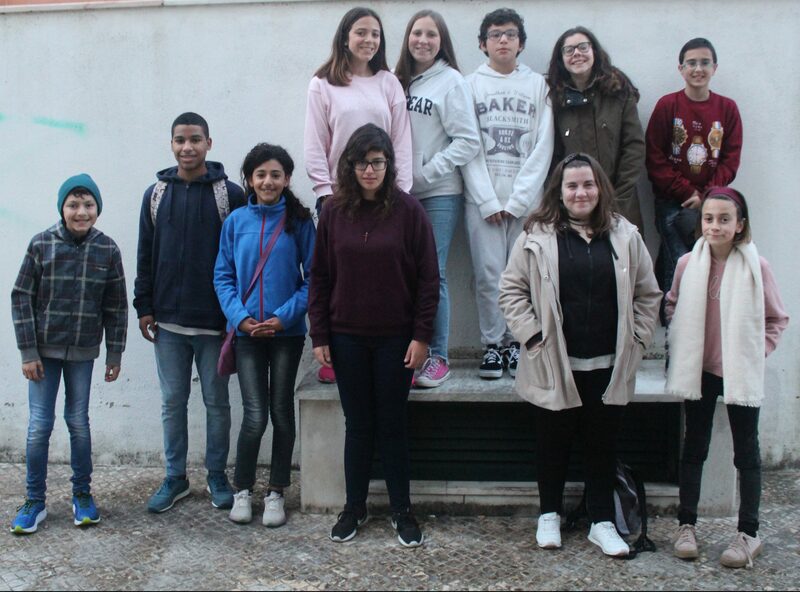 The beautiful thing was the difference in Montijo from their first visit until now. The first time they came, there were just a few families meeting in our home for a Bible study; now we average more than 50 people at church. 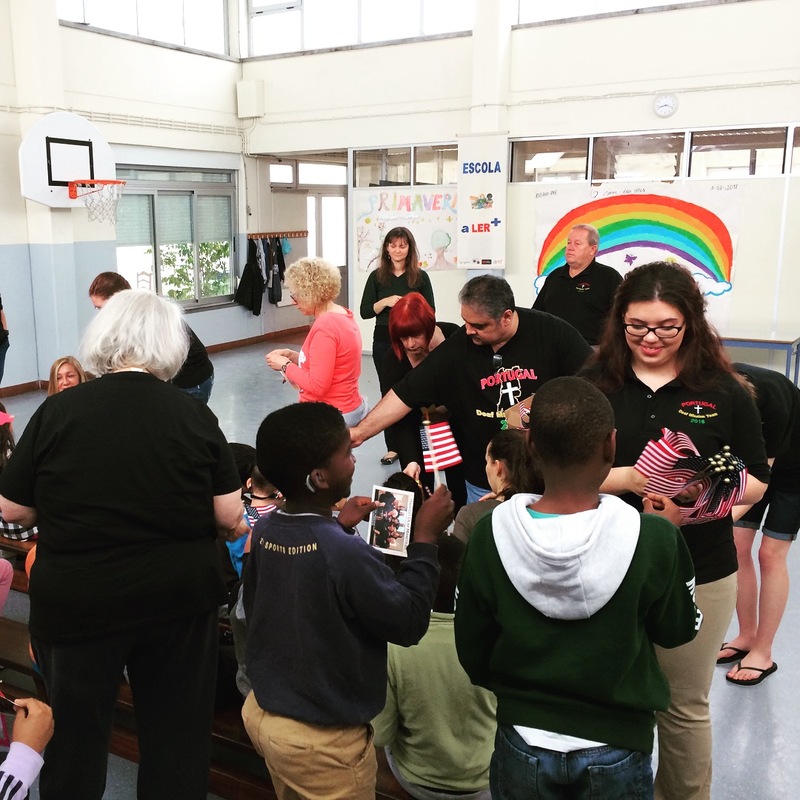 On their first trip, this mission team helped us start our summer Bible club; some of the children that came that first day are now teenagers who are saved and teaching the club themselves! 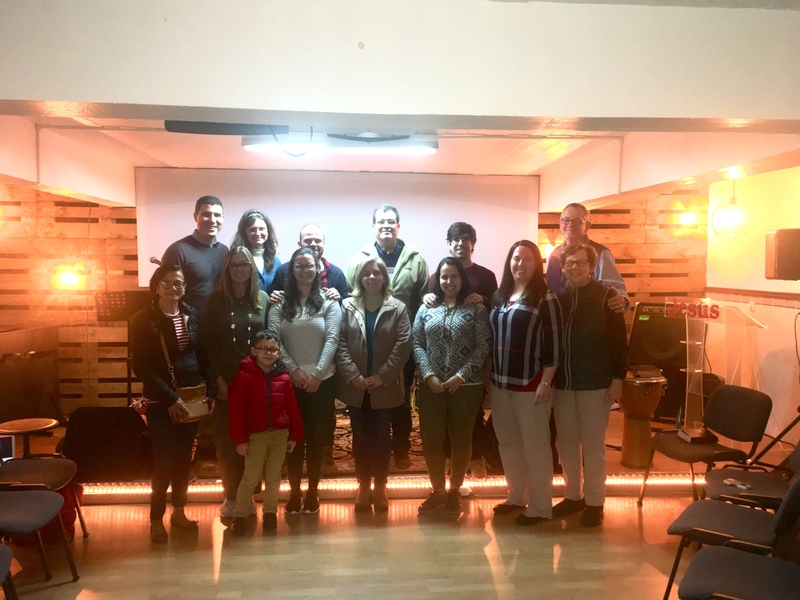 The first year, the team helped us pass out flyers to inform people of our small mission; now, Montijo Baptist Mission has become Montijo Baptist CHURCH, and the team helped us pass out flyers about a small mission in another town. Our church is now helping another church plant! What a blessing to look back on what God has done in our church and town over 8 years! After the busyness of July came Portugal’s vacation month: August. Since there was no school and more time flexibility, many more families could come to our evening mid-week service. So, we extended the services to include a supper fellowship beforehand. This gave a wonderful opportunity to know our church family better, especially the families who have recently arrived from Brazil. 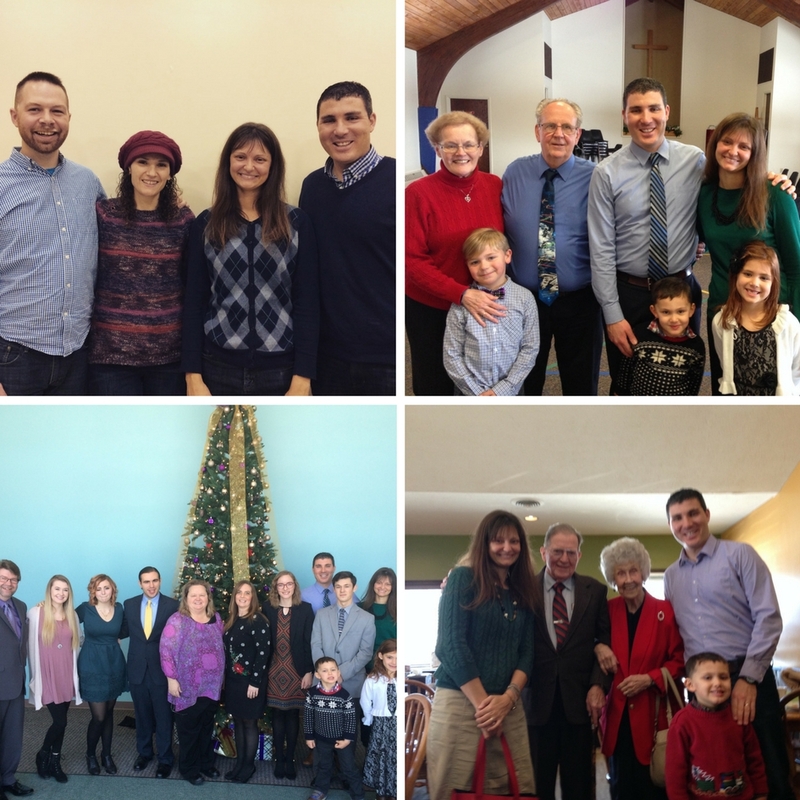 I preached a series on having a God-centered family. For many in our church who are far from their biological family, these services with their spiritual family were a highlight of their week. Our church family grew closer through these good times, and, we’ve grown closer through grief as well. 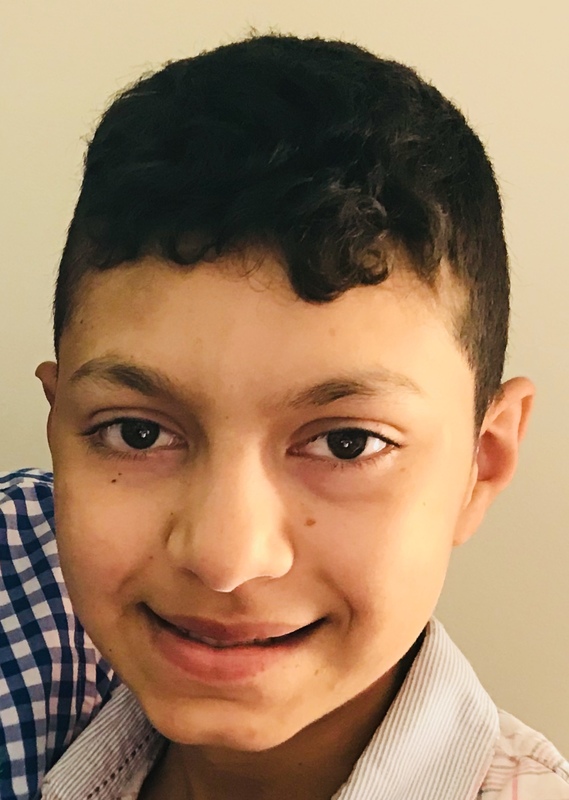 Many of you have prayed for Luis, the 12-year-old boy who was baptized last year, and who has been fighting a brain tumor. God gave him strength to attend Bible camp with us and have summer vacation with his family. Then, his health declined very rapidly. On Sept. 1, God graciously took him home to heaven. 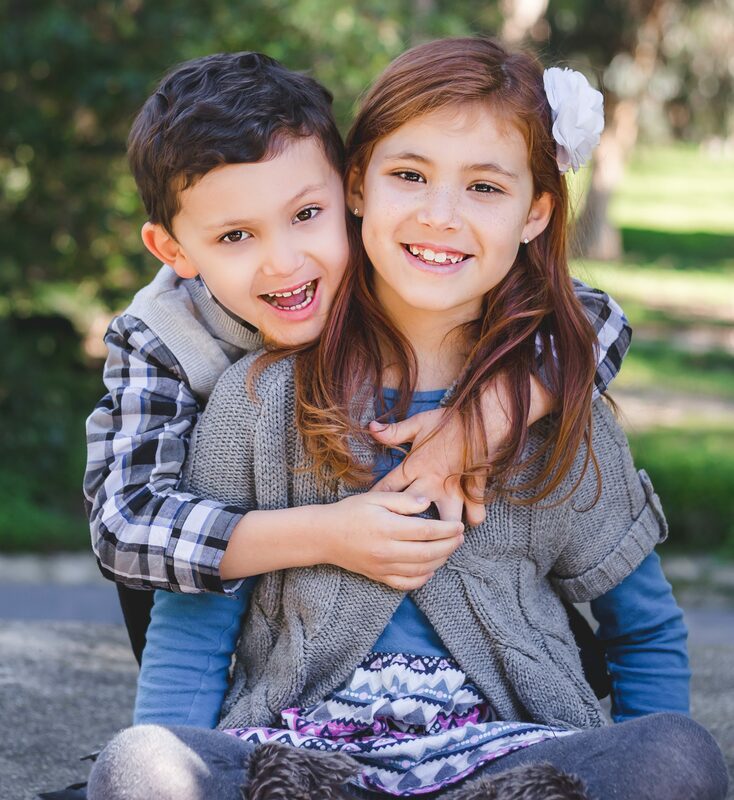 Luis and his parents, Mario and Carla, have shown God’s peace and grace through the entire process. Luis had left instructions for his viewing, funeral and burial. He asked people to come dressed, not in black, but in white. He chose the song we sang and the verses we read. Though terribly sad, the funeral was also a most beautiful scene. Mario and Carla were hugging and comforting others, saying over and over, “God is faithful. God is faithful.” Through tears, we sang of how we’ll praise God in heaven, as Luis is now. As we looked at the group gathered at the cemetery, we marveled at how most of us would never know each other if it had not been through church. The one thing that united us was Jesus, and He is the one Person who made us grieve, not as the unsaved, but as those who have hope. Pray for the salvation of the many unsaved family members and friends who heard the gospel at Luis’ funeral and saw through Mario and Carla the hopes Jesus Christ gives. On a personal note, Sarah had wrist surgery in August to fix a torn ligament. The recovery is going well, and she’d appreciate prayers that, Lord willing, she will regain strength and mobility to do sign language again in a few months. We never know what a week will bring in the ministry here, but we are ever thankful for the work God lets us participate in here, and how He uses you to keep us here. Thank you for your part in what He is doing! We have some beautiful stories to share with you today. During the summer of 2012, we began a weekly summer Bible club that met in a park. The first Saturday, seven kids showed up. Paula and Patricia, the two girls in the middle of the picture, came and heard the gospel for the first time that day. The next summer, Paula raised her hand while Sarah was telling the Bible story and proclaimed to all that she had received Jesus as her Savior. The following summer (2014) Patricia believed the gospel and was saved as well. It’s summer 2018 now, and things have changed. Instead of Sarah or me telling the story, Patricia and Paula now rotate telling the Bible story every week. Now, they are salt and light in their neighborhood and are telling their friends about Christ. This month, we had the pleasure of bringing 16 youth to Bible camp. The theme was “More Than” as we studied being “more than” conquerors; existing by “more than” chance; etc. We took sixteen young people from our church, three of whom made professions of faith. We are once again thankful for God’s protection and how He worked in the campers’ hearts. In our last update, we shared the good things that happened while the deaf mission team was here. The good news continues: Manuela is a deaf lady we have known since 2013. 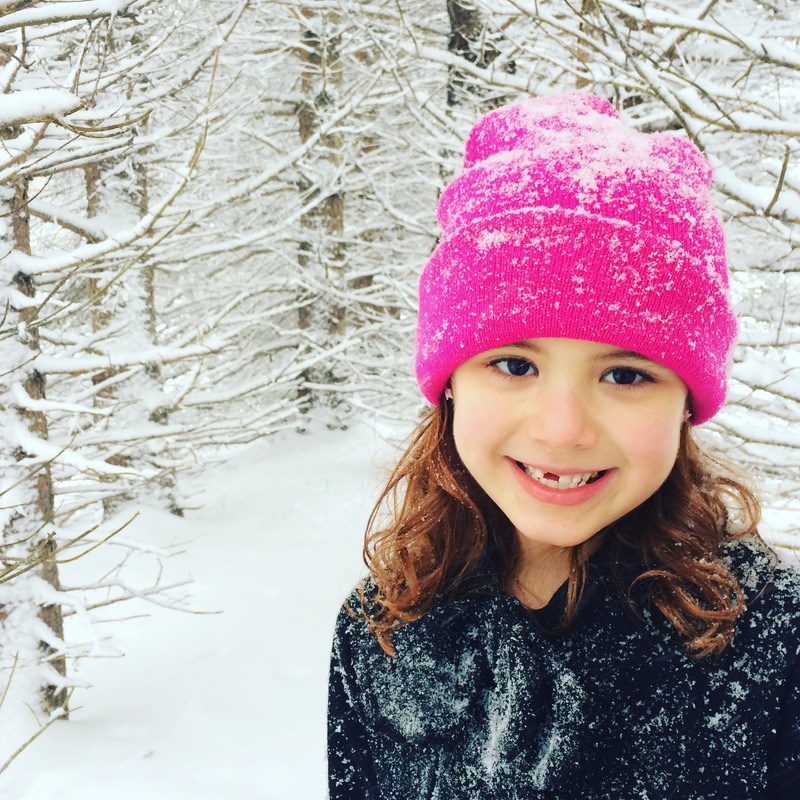 Last fall, she started doing a one-on-one Bible study with Sarah. Little by little, she has gained “head knowledge” of the Bible and Jesus, and started reading her Bible on her own, but has hesitated to trust Jesus for salvation. The week after the team came, Sarah and Manuela went over John 3:16 together, and this time Manuela was ready to receive Jesus! After 4 ½ years of watching the seed of God’s (signed) Word take root in Manuela, it was beautiful to see it blossom in salvation.Sarah cried for joy! Manuela and Sarah planned a surprise lunch to announce her salvation to our coworkers. Manuela has boldly shared her decision with many friends in person and on social media. Please pray she will continue to grow and that God will use her to reach more deaf people for Him. Do you notice a common thread in these two stories? In both cases, years went by between when the seed was planted and when it brought forth fruit.We rejoice that Paula and Patricia are leading the Bible club this summer, but that work in their lives began six years ago. Our hearts soar with gratitude in seeing Manuela publicly profess her faith in Christ, but it took more than four years of learning the Bible and growing in her understanding of the gospel before she was saved. Furthermore, for every Patricia, Paula, and Manuela, there are many dozens of people who have rejected the gospel or have fallen away. Please pray for more Portuguese hearts to be tender to God’s truth that has been spoken or signed to them over the years. On a personal note, we have moved . . . not far, just to a different neighborhood. Many of you are so kind to send us birthday cards and personal letters. If so, please note our new mailing address below, and we look forward to continuing to hear from you. What a week! We just had the joy of hosting a team of ten people from our sending church, Harvest Baptist Church of the Deaf. In the seven days they were here, God did great things through them. Here it goes! They encouraged and loved our family. Sometimes, the people we are trying to reach aren’t concerned about their own spiritual destiny. We warn them and encourage them to be saved, but it seems like the only people who care about them are our coworkers and ourselves. When the team came this week, they showed such a desire to see the deaf saved, that it touched our hearts to remember how much others care for them as well. It was a blessing to swap stories and fellowship with people from the same culture with the same mission heart. They helped us build relationships. We are hearing. No matter how well we learn Portuguese Sign Language or how much time we spend with the deaf, our hearing status is always a roadblock. If we approach deaf clubs or deaf schools asking to do a presentation, they tell us no. However, when we have a group of deaf people from another country wanting to speak in their club or school, they are more willing to say yes. 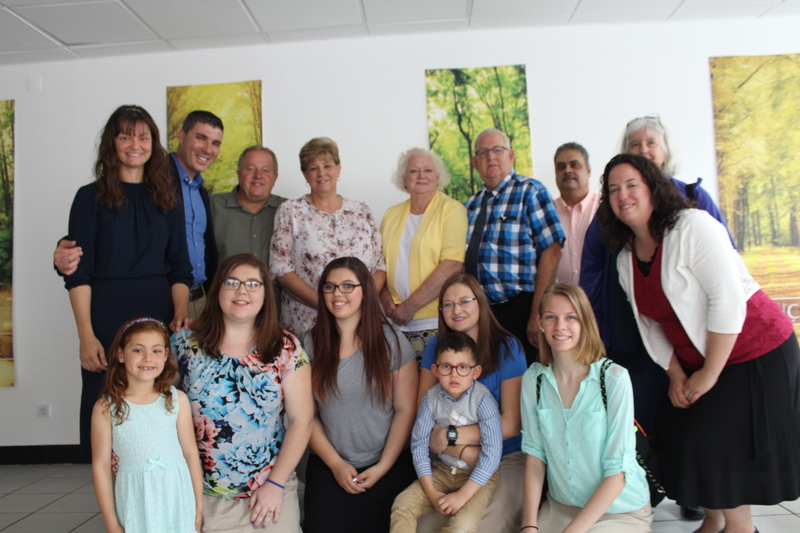 Two deaf associations let the group share, which led to some first-time visitors at deaf church. We have tried for 3 years to do a presentation in the deaf school that our son attends. God used this group to let us in for the first time. Though it is a public school, and explaining the gospel is not allowed, Pastor Rempel briefly told the students, “Jesus loves you”. Most of the students have hearing parents who don’t sign. When they go home each evening, they have almost no one who communicates with them. When Pastor told them of Jesus’ love, it was, for many, the first time they’d seen that message in their language. They shared the gospel. Our pastor, Reggie Rempel, preached and shared his testimony throughout the week. His preaching was clear and powerful: it conveyed the urgency of salvation and the depth of God’s love. But it wasn’t just Pastor Rempel preaching. Every team member shared the gospel personally with the deaf that they met at activities and at church. 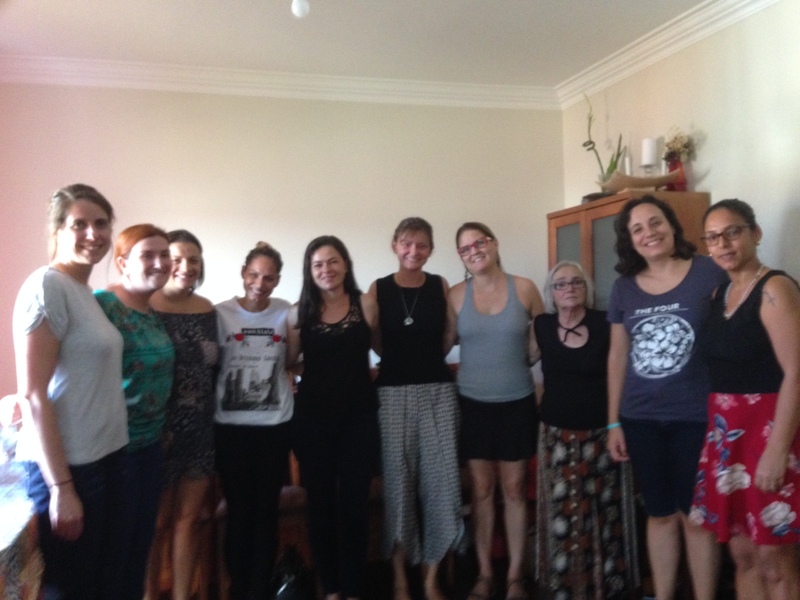 They learned about Portuguese culture and ministry. The team members came with no personal agenda. 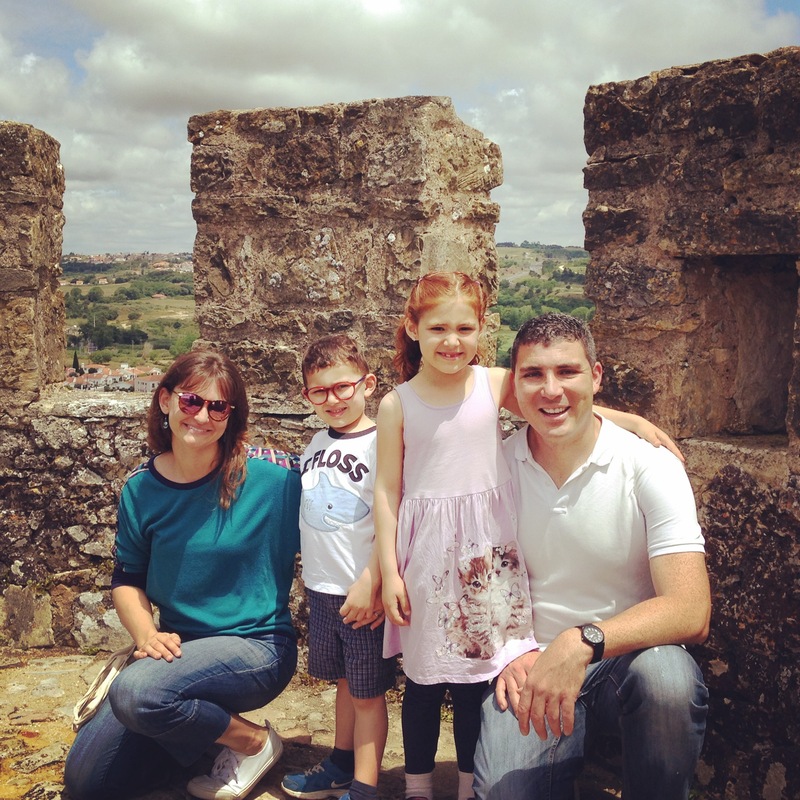 We showed them a castle, fed them pastries, and told them about some Portuguese traditions. In each situation, rather than complaining about how different things were or demanding their own preferences, they happily tried new things. When plans changed, they adapted and worked well together. Most of all, whenever they entered a ministry setting, they went right up to people and tried communicating to reach them. They were all about others rather than self. They rejoiced when people were saved. 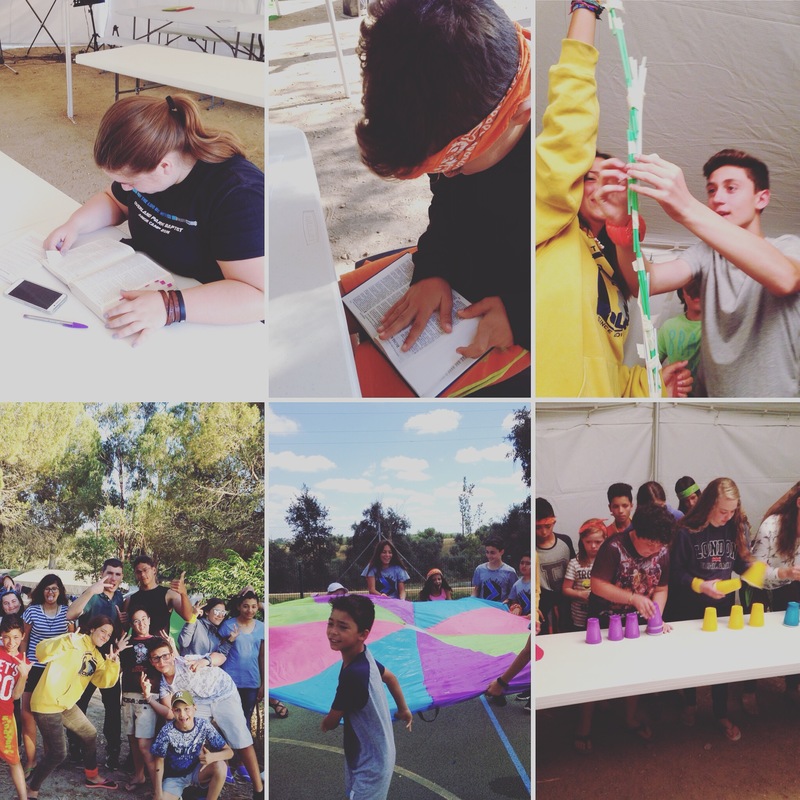 On Saturday, we hosted a special retreat where we had games, food, signed music, and preaching. In the days leading up to this event, we invited everyone we could. On the day of the retreat, we had 13 people come. After preaching, Pastor Rempel spoke with two men, Eugenio and Carlos, about the gospel and their need to be saved. Carlos is Denise’s husband. You may remember she was baptized just this past year. Eugenio is a young man we have known for a long time. Though he has come to church frequently over the years, he has seemed somewhat ambivalent to spiritual matters. At the retreat, they asked to receive Jesus as Savior. Though they both still have much to learn, we rejoice that God is working in their hearts, and we look forward to seeing how He continues to do so. We actually wrote this prayer letter three weeks ago, but forgot to post it our site until now. Sorry! 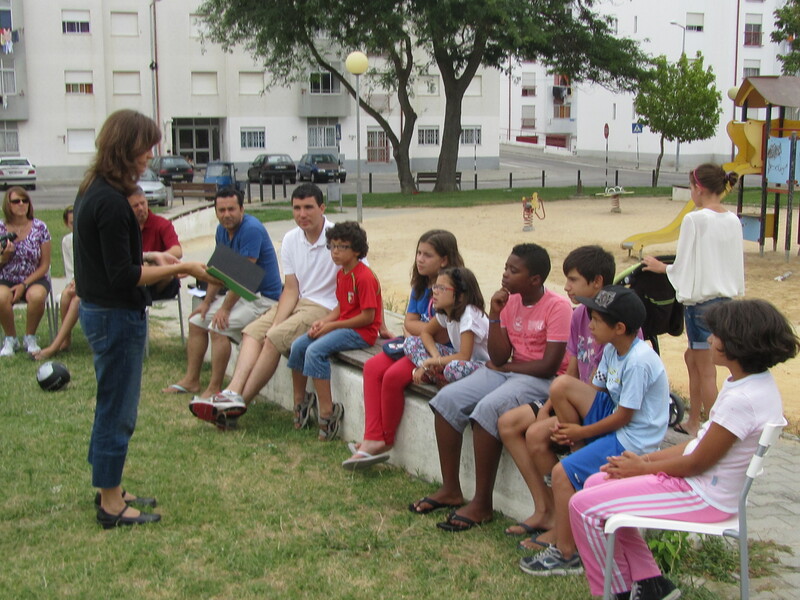 For years, you have prayed for the deaf in Portugal. You have followed our slow progress in building relationships, sharing the gospel, and longing for people to be saved. We have great news to share! 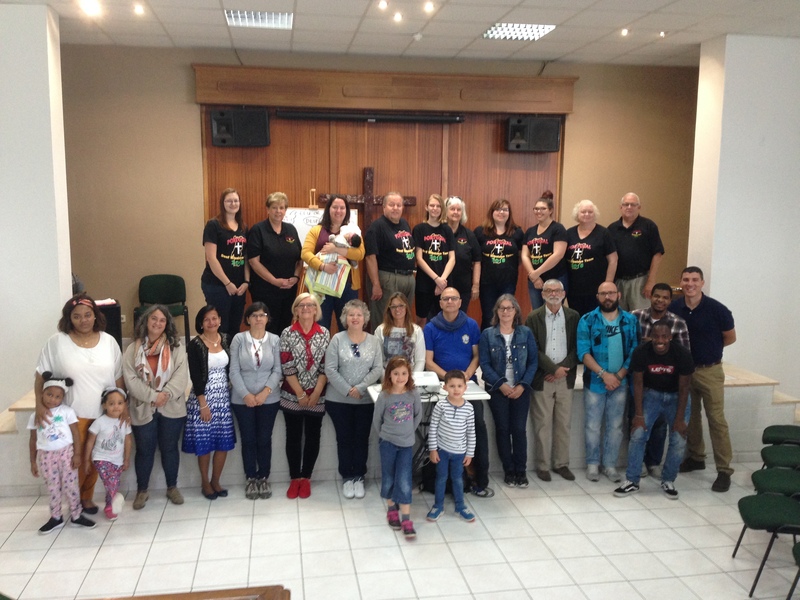 Recently, we invited the deaf to a special evangelistic event held here in Lisbon. For weeks, we prayed and persistently reminded them. Amazingly, on the day of the event, 18 deaf came. This was the most deaf we have ever had for any activity or service. As I sat there, watching Sarah interpret the sermon, I wondered how they would respond. Most of them had heard the gospel before many times. Would this be the moment when it all “clicked”? For 25 minutes, the preacher gave a clear Bible message. Then the moment came for the invitation, “Would you repent of your sin and turn to Jesus Christ and trust Him as your Lord and Savior?”Our hearts leapt with joy and excitement when several rose from their seats and made their way forward. 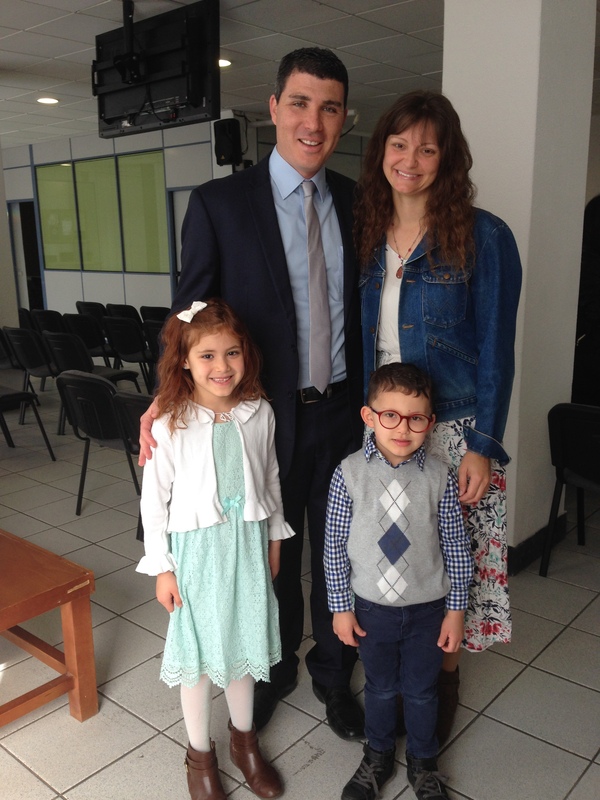 Rui and his wife, Fátima, Sérgio, Margarida, and Isabel all publicly professed their faith in Christ.Rejoice with us! Praise God for this historic moment! Pray fervently that this would be fruit that remains and that each of these professions of faith would be genuine. 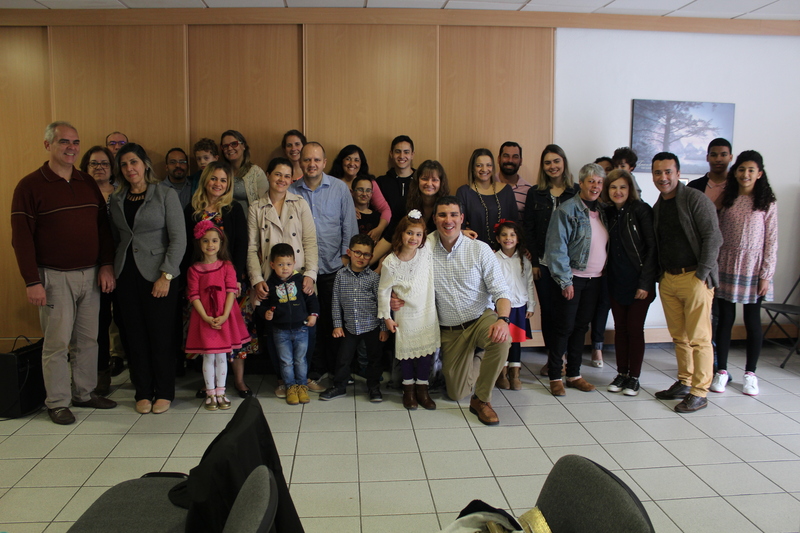 In our last update, we mentioned how many new people have begun attending church, especially families from Brazil. Receiving so many new people at once is a good challenge to have, and we have been praying that God would guide us to grow in a healthy way. This past Sunday we had a new members meeting and lunch where we shared the church’s vision with those who want to join or be baptized. It was an encouraging afternoon, and it is heartening to see people want to commit to a local church and use their gifts for God’s glory. With so many answers to prayer, it leaves us with new prayer requests and opportunities. 1.Pray for us as we disciple and follow-up with those who recently made professions of faith. 2.Pray that these good things would spark even more to come. 3.Pray that God would give us wisdom as we transition the hearing church from being a church-plant to being a self-sufficient, autonomous, multiplying church. Finally, thank you for sticking with us and for praying for us faithfully over so many years. Getting to share moments like these with you causes our hearts to overflow with joy. May God bless! It’s one of those days outside: one minute it´s raining and blowing, the next it’s calm and sunny, then back to overcast again. It’s as though the weather can´t decide if it is winter, spring, or summer. The weather reflects our current work situation. We are doing all our regular school-year activities, and in spare half-hours between events, we are planning and prepping spring and summer outreach. The grunt work now will hopefully pave the way for harvest in a few months. So, what is the current and future ministry forecast? 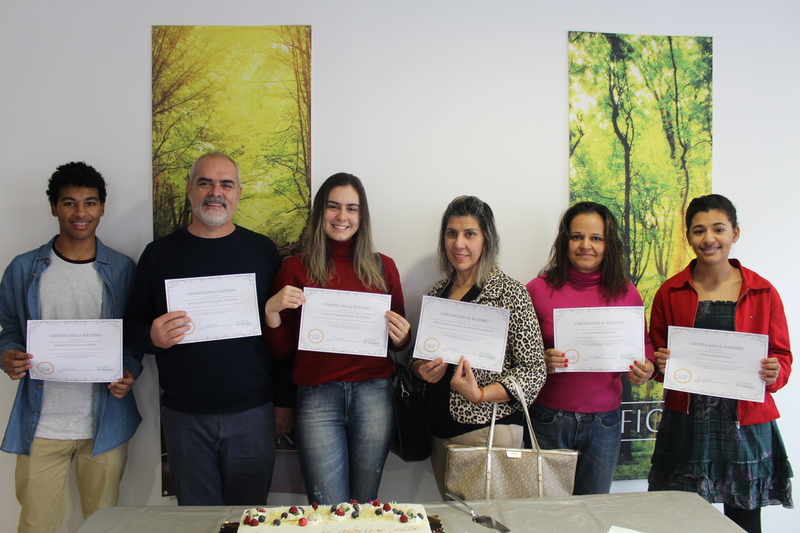 Every week, the hearing church is receiving Brazilian immigrants. 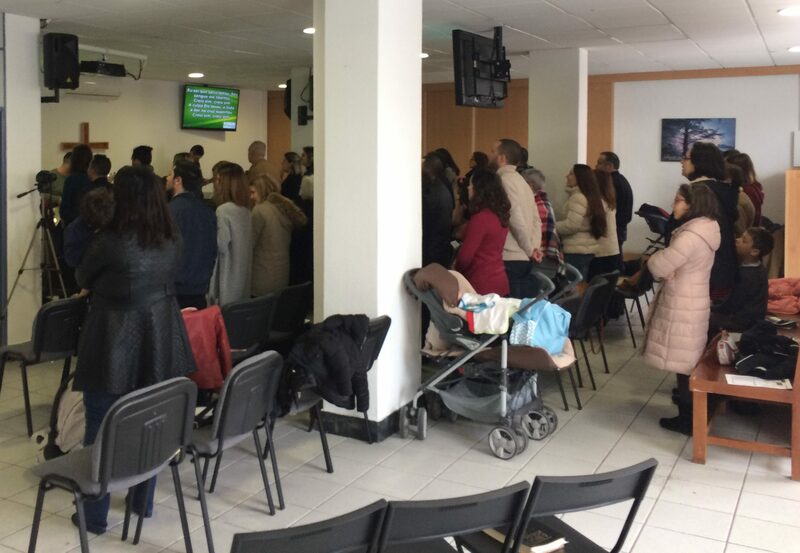 The current financial and security situation of Brazil is causing many to move to Portugal, and several are coming to church just days after arriving in the country. We are thankful for these families, and need wisdom for how to help with their physical and spiritual needs, plus how to integrate them into the church body, so they can grow and serve. 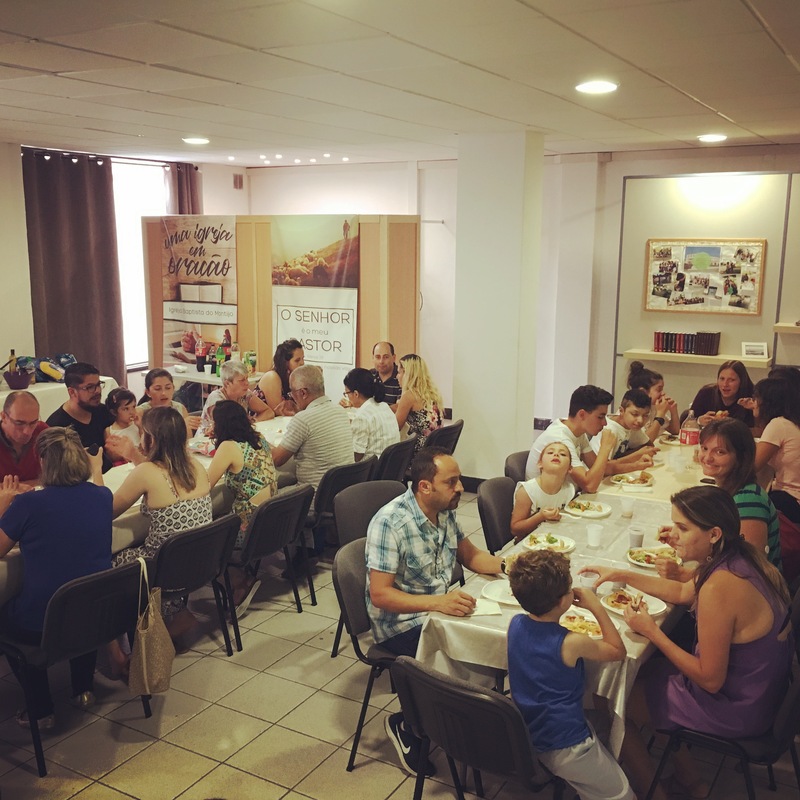 With the many new families (both Portuguese and Brazilian) who have come over the past year, there are also possibilities for misunderstandings and conflict. However, there is nothing like God’s Word to bring people together and build a church. I’ve preached a series on prayer, the 23rd Psalm, and on ministering to one another. We are praying for unity within the body, so that we can grow together and effectively reach our community. Speaking of reaching out, we are grateful for the people in our church who are already seeing their co-workers, friends, and family members as their mission field. Thursday night’s prayer meeting was full of testimonies of people witnessing and burdened for the lost. We have a special outreach planned around Easter. Would you please pray for the people of our church 1) to be unified, and 2) to be used by God to individually reach the people He has put in our lives? Please also pray for the deaf church. One month we see a dozen come to church, the next only a couple. They are so easily kept away by things of the world. Please pray for the few deaf who are saved to grow and be a light among their deaf friends. Please also pray that God will give interest and determination to the unsaved deaf for them to come to deaf church, watch the videos of the Bible translated into Portuguese Sign Language, and seek God who created them. Please pray especially for Manuela. She meets weekly with Sarah to study the Bible. This month, they will complete the panorama of the Old Testament, all of which Manuela is “hearing” for the first time through Sarah’s hands. As we minister each day and plan for the future, we want our plans to be God´s plans. Please pray for us to know and do His will with current events (church services, prayer breakfasts, teaching Bible in the public schools, teaching seminary, Bible studies, etc.) and with upcoming plans (Easter week outreach, deaf and hearing mission teams, missions week, etc.). 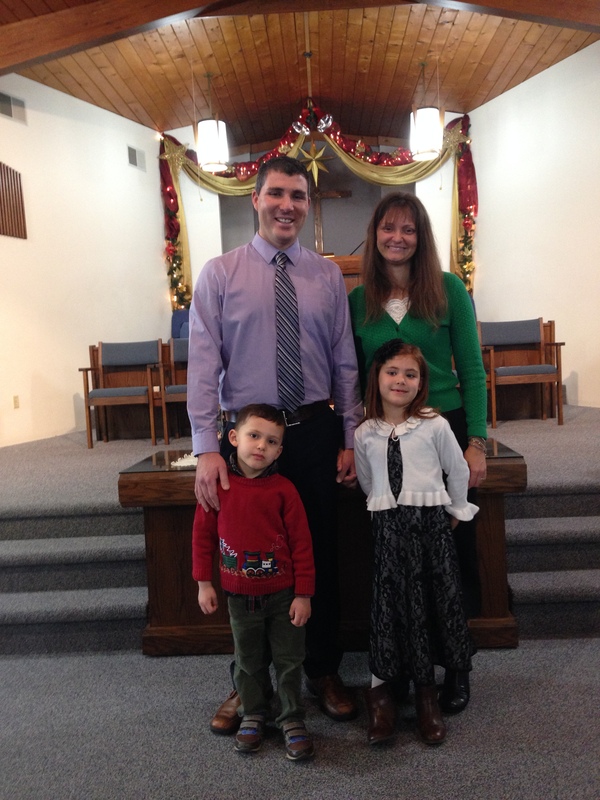 Finally, our co-workers, Dave and Michelle Wears and their family, are getting ever closer to finishing their deputation and beginning their ministry here. 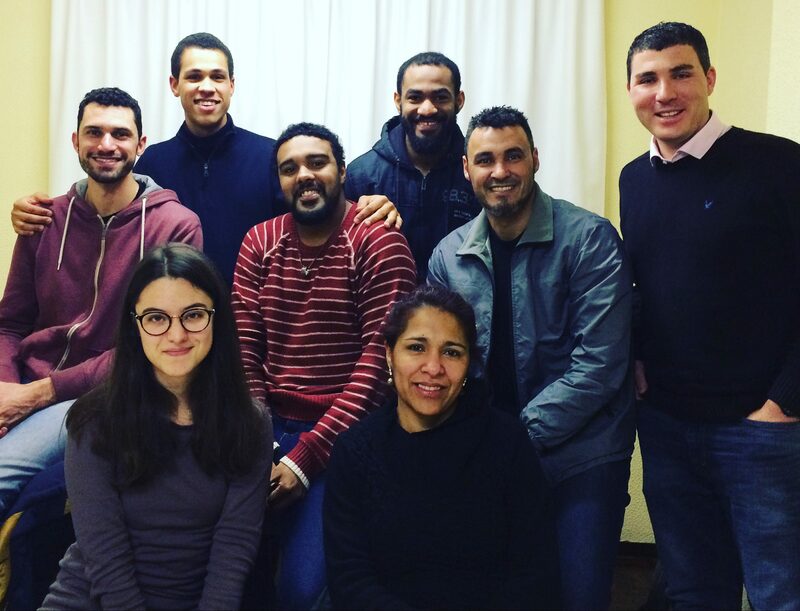 Pray that they will be able to begin their ministry here in Portugal within the next few months. Lots of things are happening, and we believe this could be a breakthrough year. Thank you for your encouragement and partnership with us. Just finished teaching Old Testament Survey to this class of great students. Running wires and cables at church to improve our sound system. Laura and Samuel helping out at Deaf church. Here’s a message I preached while back in America over Christmas. 2017 ended on an encouraging note, and 2018 began with a time of rest and refreshment. Let’s catch you up on where we are. 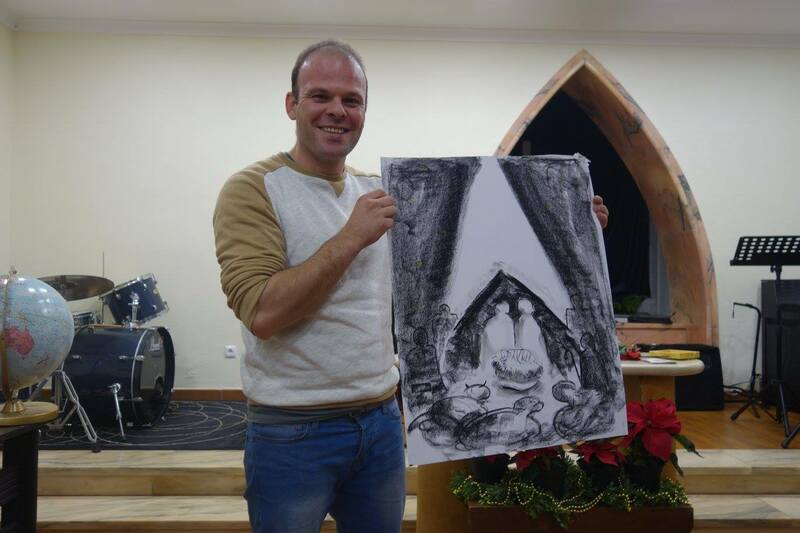 In December, we had our Deaf service and Christmas party. After a year of up and down attendance, it was a blessing to see twelve deaf present. Once again, we shared the gospel and sang of Christ’s birth, but there was something else encouraging. Vitor, a young deaf man who is saved, stood before the whole group and gave a testimony. It was especially well received among the deaf because one of their own was speaking to them, and not just a hearing missionary like myself. After the service, I asked if he would share again at the next deaf service in January. Two weeks ago, he shared his testimony of salvation and showed a video of when he was baptized. His vibrant witness and joy in knowing Jesus opened up a spirited conversation among all of the deaf about Heaven, Hell, and salvation. Pray that Vitor’s testimony would be used of God to convict many deaf of their need to respond to the Gospel. We see an awakening fire beginning to kindle and come to life among the deaf. Pray that 2018 will be a year of great victory. We began a deaf service in a second location, which has helped to revitalize the work with the deaf. In the hearing church, we began a Sunday school program. Now, every week we have five classes learning God’s Word together. We baptized five people and added twelve new members to the church. The church began giving to missions and made its first mission trip. The leadership within the church is growing stronger, and many more people are serving in different ministries. Take a moment, and praise God with us! Great things He has done. In our last letter, we asked you to pray for Luis, the boy with the brain tumor who was baptized. Until recently, it seemed his condition was hopeless. However, to everyone’s great surprise, his most recent MRI showed that the tumor had shrunk by at least 30%. No doctor expected this, but we believe that God is able to work a miracle. Please keep praying for Luis. One final blessing was that we returned to the States for five weeks and spent Christmas with family. While our time was short, it was enough for us to visit lots of friends and family and even a few of our partner churches. While most of the time we are separated by thousands of miles, it is a tremendous blessing to know that so many people are praying for us and care deeply about God’s work here. Thank you! While the past year was filled with blessings, we pray for God to do an even greater work this year. Pray that God would give us strength, wisdom, vision, protection, and an ever-growing love for Christ. This Thanksgiving, our hearts are filled with joy and gratitude for all that God has done recently. Our table is loaded with great things to share with you, so let’s dig in! 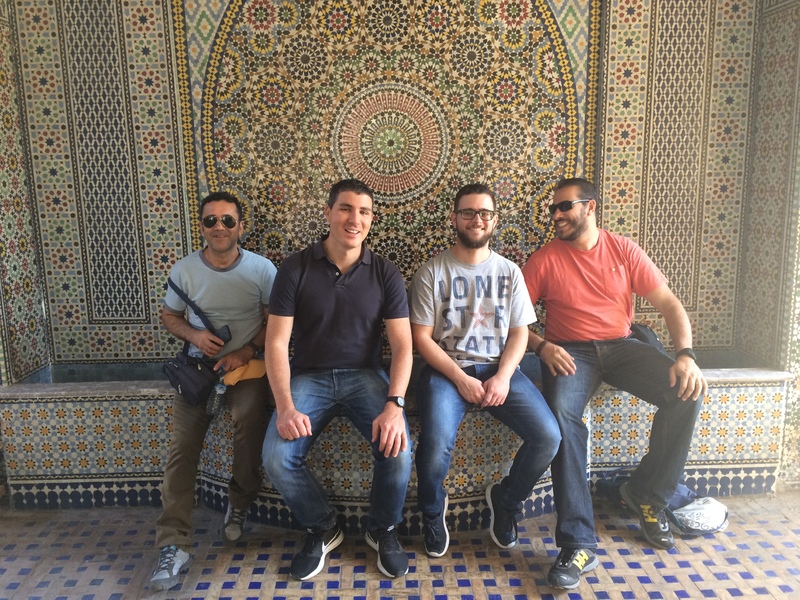 Mission trip: Earlier this month, I went with three men in the church to North Africa on our first mission trip. We had three goals: to see what God is doing in this region dominated by Islam, to encourage the brothers and sisters in Christ that we met, and to deliver over 170 Christian books. It was the first mission trip for each of the three men, and God burdened our hearts as we saw countless people who have never heard the gospel. While the trip itself was exciting, it was also an important step for the church. This year, we began to give to missions, we sent out our first mission team, and we have a much stronger vision for what God can do through us to reach other people with the gospel. It is a beautiful sign of growth to see a mission work reach the point where it is now giving and sending to reach people in other parts of the world. Deaf service: This year has been filled with ups and downs with the deaf. On the good side, we have seen at least two people make a profession of faith, one of whom was baptized this past Sunday. On the other hand, we have also seen a decrease in attendance at our deaf services; most weeks we would have just 3-4 people. In our efforts to encourage the deaf to come back to church, we decided to start a second deaf service in a new location where we would be closer to where many of them live. Our first service had… two deaf come. Despite this, we all prayed for God to work and bring more people the next time. God answered, and at our second service we had 10 deaf show up. This was tremendously encouraging, and we are seeing signs of growth in the lives of the deaf that go beyond just coming to church. 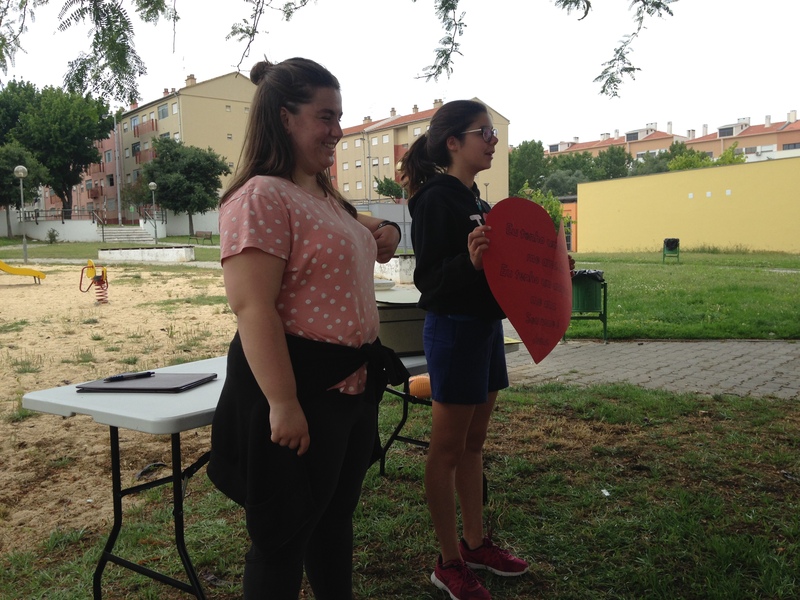 Don’t stop praying for the deaf in Portugal! We are hungry to see more deaf saved and the growth of a deaf church. Helena is a quiet and serious girl whose parents are Brazilian missionaries here in Portugal. Thus, she grew up hearing the gospel and was saved last year. She and her whole family are a blessing to us. Luis is a twelve year old boy whose stepdad, Mario, was the first person ever baptized at our church. Pray for Luis, not just spiritually, but physically. He has a brain tumor that is growing rapidly and is proving very hard to treat. We are thankful that, whether in life or death, Jesus is his hope. Pray with us for God to heal Luis and to strengthen his family during this difficult time. Patricia is an incredible story of God’s grace. Back in the summer of 2012, we had a mission team come, and they did a VBS in a park in right in front of Patricia’s apartment. She was there that very first day the message of the gospel was sung and proclaimed in that park, and she has been coming ever since. But now, she is the one leading those songs and helping do the Bible clubs. She is the first person in her family to be saved, so pray for the salvation of her parents, brother, and grandparents, all of whom were at church this past Sunday to see her baptism. We love seeing people saved who are the first ones in their families! Denise is the first deaf person we have seen saved and baptized. 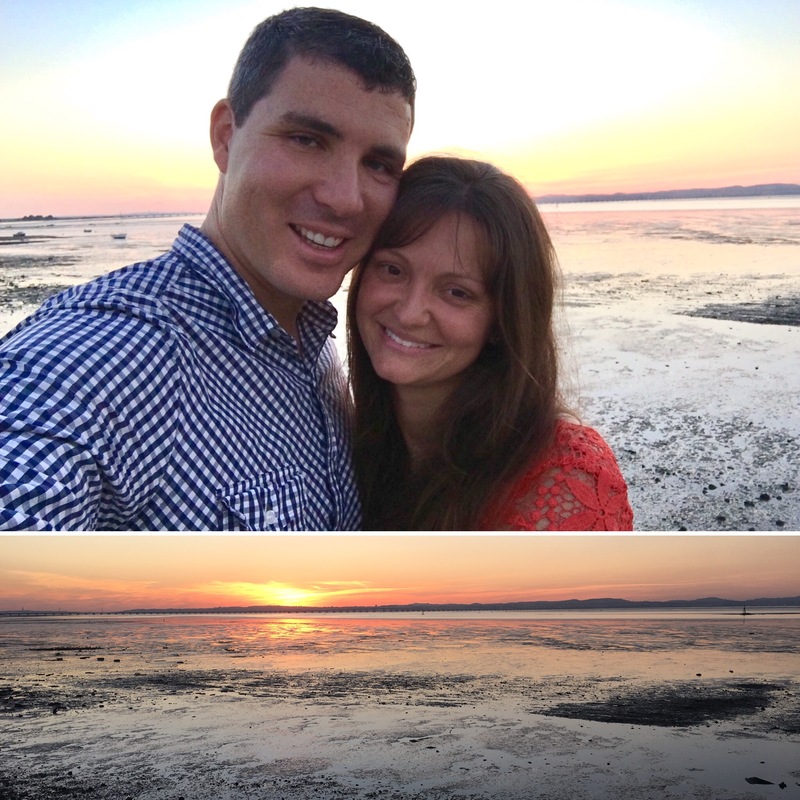 Our co-worker, Amanda, has spent countless hours discipling and encouraging her new faith. This was a moment of celebration for all of us, and we pray for many more deaf to be saved and baptized in the years to come. We’ve mentioned Paula several times in our letters. She was a practicing Catholic up until a year and a half ago. Two of her nieces (who are saved) were visiting her and suggested she begin attending our church. She has faithfully come ever since, and God has opened her eyes to the truth of the gospel. Pray for her faith to grow stronger and pray for the salvation of her husband and children. Well, there is much more to share, but we want to end this letter by expressing our gratitude for you. You’ve had an important part in all the good things we shared with you today. Thank you for praying, caring for us, and for partnering with us.